Are Robbie Amell & Stephen Amell Related? You're A Smart One, Aren't Ya? They might be two of the most good-looking, talented, and beloved actors on TV right now. 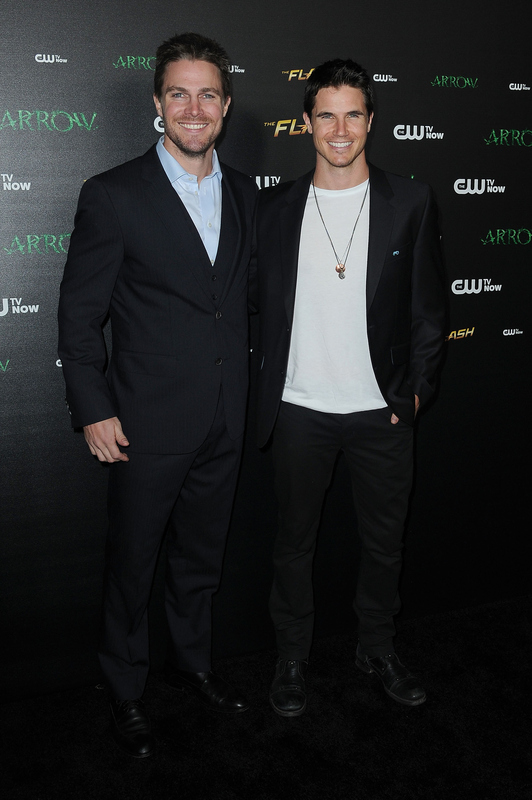 And, if you're, wondering, yes, Robbie Amell and Stephen Amell are related — they're cousins! If you're someone who can't get enough of them on The CW's Arrow, The Flash, and the now-canceled Tomorrow People, you might already know that they're first cousins, but now that Robbie is starring in the new movie The Duff , and Stephen's character, Oliver Queen, is going through quite the adventure, fans want to know all there is about these two family members. What makes Stephen and Robbie, who are also both from Canada, so lovable is that they seem like two genuine men, who love their fans and their work. In addition to being cousins, Robbie and Stephen have a lot in common. Before you say it, no it's not their winning smiles, dashing good looks, or their abs. Of course, there is much more to these actors than their physical looks (which, yes, we all discuss from time to time). With that said, here are seven things Robbie and Stephen have in common that will make you admire and love them even more than you already do. Not only does Stephen play Oliver Queen on Arrow, but Robbie once played a teleporting hero on Tomorrow People and he currently portrays one-half of Firestorm on The Flash. Stephen is married to former America's Next Top Model contestant Cassandra Jean, while Robbie is engaged to Chasing Life star Italia Ricci. In 2012, Stephen's mother underwent chemotherapy to fight cancer. Ever since then, he has been an advocate for cancer prevention with help from his fans, friends, and family, including Robbie. These two just can't get enough hockey, whether it be in LA or Canada. Um, did anyone else break out in a sweat just now? I don't know if this is true, but I assume they do. Plus, look how happy they look! Do you love these cousins even more now? Yeah, me too.